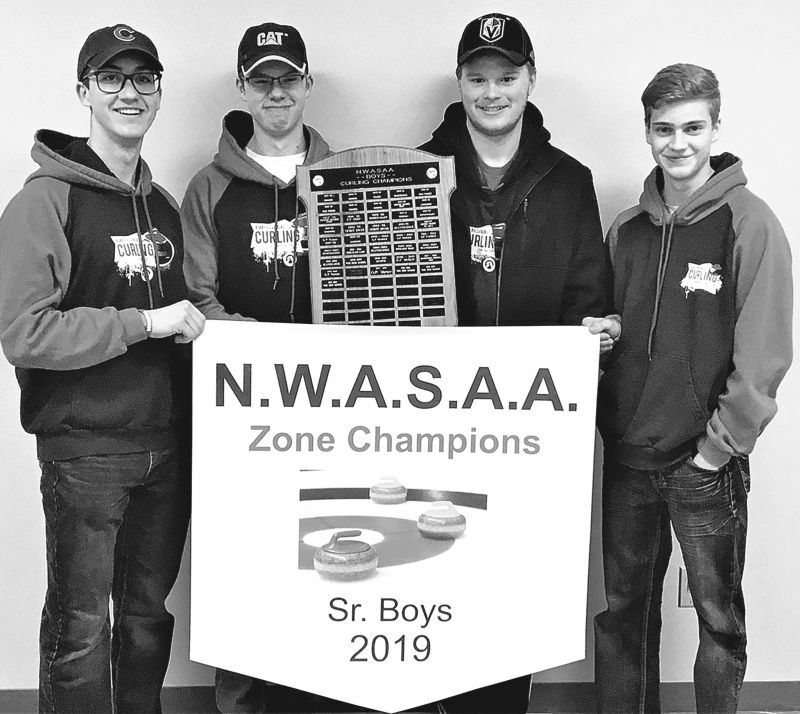 To qualify for the provincials, the Vanier team, consisting of Luc Blanchette (skip), Adyn Ouellette (third), Dylan Desharnais (second) and Derrick Brochu (lead) had to win zones in Falher, hosted by Georges P Vanier on Feb 20 and 21. Coach Alain Blanchette and Vanier teacher Kristen Blanchette also travelled to the event. The team’s their first game was a hard fought battle that came in just short in the last end. 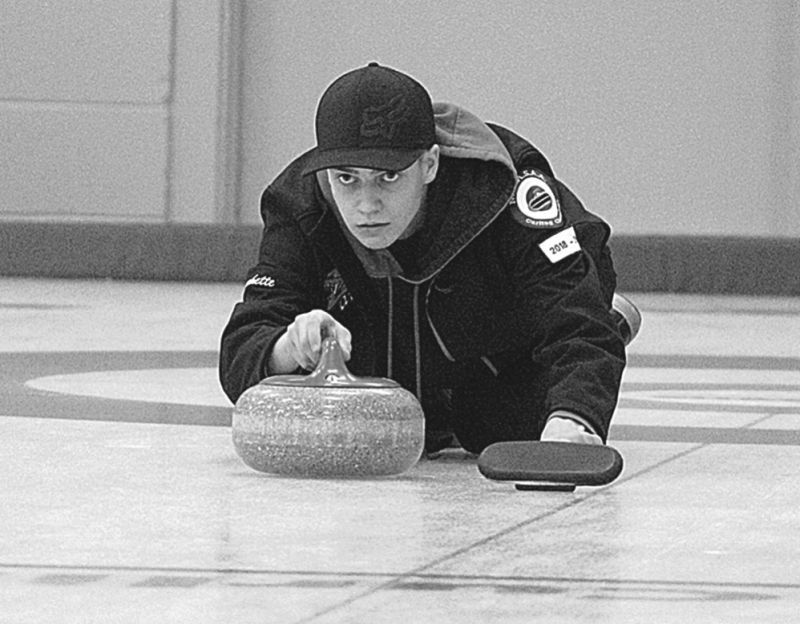 Their second game was also a tough game as they fell to this year’s Provincial Champions. However, in their third game the G.P. Vanier team dominated the game to win 8-4. Their last game went back and forth for the duration, with the score tied going into the last end. Even though the Vanier team didn’t have hammer, with an impressive last shot by skip Luc Blanchette they thought they had a win, but the opposing team’s skip also pulled off an impressive shot for the win. “The boys showed strong determination and good sportsmanship throughout their efforts,” says Kristen Blanchette. They also had the opportunity to meet Rachel Homan who was the Canadian women’s team skip at the 2018 winter Olympics. They also got to meet Marcel Roque., a four-time winner of The Brier, and a three-time World Champion as the lead for the Randy Ferbey team. In game 1, Vanier lost to Trochu 8-7. In game 2, Westwood from Fort McMurray prevailed with a score of 10-7. In game 3, G.P. Vanier defeated Barhead 8-4 and in game 4 St. Albert Catholic won 5-4. 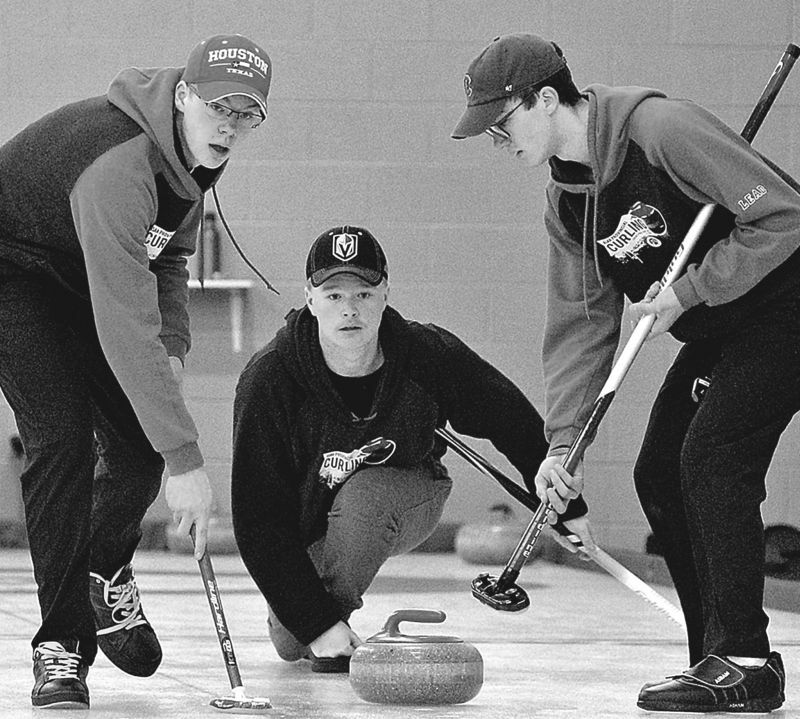 Dylan Desharnais sweeping, with Derrick Brochu on the left and Adyn Ouelette on the right. G.P. 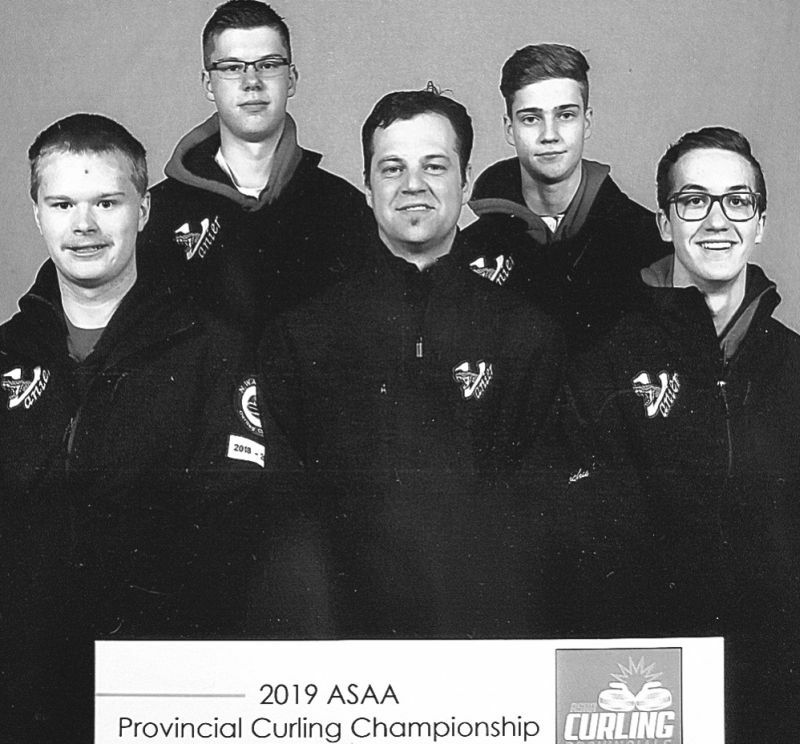 Vanier High School curling team with Coach Alain Blanchette, centre.